Welcome to the Dog Feeding Accessories superstore! A dog's got to eat, but dog food isn't as simple as just pouring into a bowl and forgetting about. Keeping your dog's food fresh, healthy and free of insects and other pests is essential to maintaining your dog's health and comfort. Keeping your dog's food in a safe, secure container will also reduce the risk of your dog getting into it and making a huge mess! We believe feeding time should be fun for everyone, including you. Our huge selection of dog feeding accessories will help keep it that way! 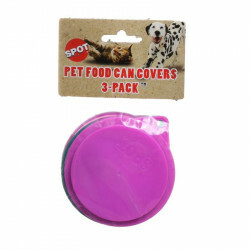 Pet Mountain's Dog Feeding Accessories store features top quality products from some of the most trusted names in dog care and food storage, including Spot, Vittles Vault, Van Ness, Drinkwell, and Real Pet International. 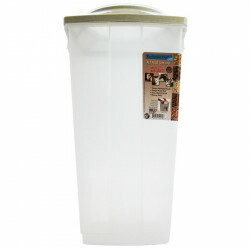 Airtight dog food storage containers are essential to preserving the freshness and healthiness of your dog's food, protecting it from pests, other pets, and your dog himself! Our huge selection definitely has the container you're looking for. 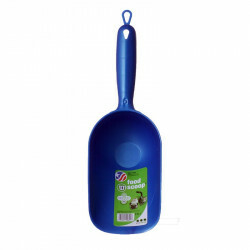 Of course no one wants to go digging through dog food with their bare hands, so you'll want a hygienic, convenient dog food scoop to do it for you! 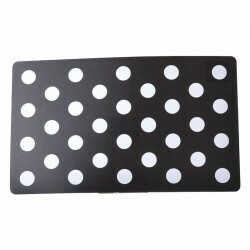 Dogs can be messy eaters, so make cleanup easier on yourself with a dog bowl place mat. And if your dog's automatic fountain waterer ever experiences trouble or needs a new filter, you can find the fix right here!